AmericanAirlines Arena is going to be hosting Marco Antonio Solis. ConcertFix provides a wide variety of tickets that start at $31.00 for the Parking section and range up to the most expensive at $1894.00 for the 119 FLAGSHIP section. 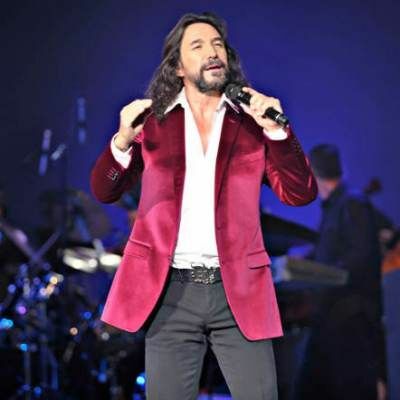 The concert will be held on August 31, 2019 and is the only Marco Antonio Solis concert scheduled at AmericanAirlines Arena as of right now. We only have 3107 tickets left in stock, so get them as soon as you can before they are all gone. Purchased tickets come with a 100% moneyback guarantee so you know your order is safe. Give us a shout at 855-428-3860 if you have any questions about this exciting event in Miami on August 31. Marco Antonio Solis will be stopping by AmericanAirlines Arena for a huge performance that will bring fans from all over! Tickets are now on sale at healthy prices here at our site where it's our job to get you to the performance even if it's unavailable at the venue. We want you to sit up close, which is why we are a major seller for first row and premium seats. If you need them last-minute, look for eTickets for the fastest delivery so you can print them from your email. All sales are made through our safe and secure checkout and covered with a 100% guarantee. Is the Marco Antonio Solis event in Miami sold out? The Marco Antonio Solis Miami performance may be sold out but plenty of people are always looking to exchange tickets they already own. So even if the Marco Antonio Solis at AmericanAirlines Arena show is sold out, there is a good chance there are still tickets available. What can the crowd hope to hear at the Marco Antonio Solis show in Miami? "Siempre Tú a Mi Lada" is constantly a fan favorite and will likely be played at the Marco Antonio Solis Miami show. Secondly, fans possibly might hear Marco Antonio Solis play "Dónde Estará Mi Primavera," which is also quite beloved by fans.